On my vacation I had the chance to meet Jeremy Goulder of Playing For Change. He was in Red Lodge for the wedding of my wife's sister, Michelle, and her husband, Tom. I was honored to officiate. I posted on Playing for Change before, so how cool to make this connection. The wedding itself was awesome. I married into a musical family. I think there were eight songs in the wedding itself! One of the songs was an arrangement of Love Rescue Me. A dear friend of mine was married last weekend in Montana. 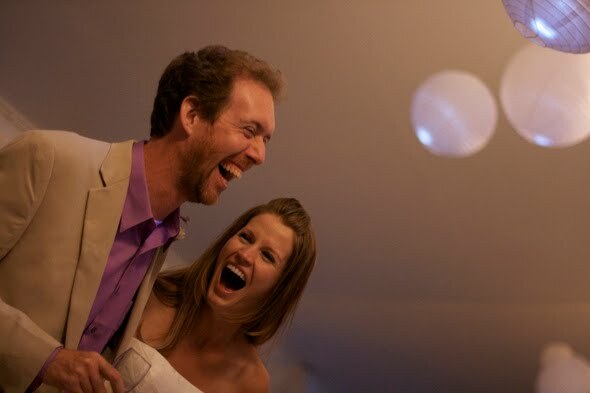 A couple days before the wedding I was surprised and pleased to learn that she and her fiance had chosen one of Playing For Change's songs to be featured at their wedding: The Omagh Community Youth Choir's version (arranged by Daryl Simpson) of Bono's original "Love Rescue Me." 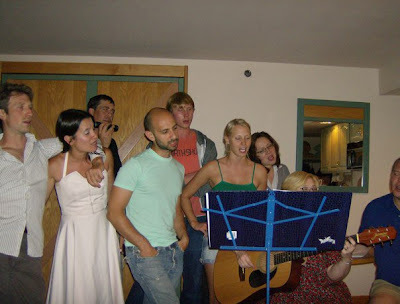 They asked me to sit in on a rehearsal the night before their wedding, where a band made up of the bride's closest friends and family was preparing their musical accompaniment for the ceremony. They had a copy of our "Songs Around the World" release, and after listening to the track through a couple times they asked me to talk about the significance of the song. I explained the history of the choir-- that it was founded by Daryl Simpson shortly after a terrible bombing that took place in Omagh, Northern Ireland in 1998. He created the choir in an effort to bring peace and reconciliation to the community and to bring Catholic and Protestant young people together through music. His vision was so perfectly aligned with ours that as soon as we learned about his organization our crew began making plans to film and record the choir. The healing and connective power of Music touches us all throughout our lives-- sometimes in ways so subtle that we barely take notice, and other times so profoundly that our life's path pivots on the spot, transposing itself into an entirely new key. The next day these thoughts played along in my subconscious as I joyously watched my friend exchange vows with her groom while music filled the air. And below is a pic of the rehearsal Jeremy talked about. Jeremy is on the left. Folks "in the family" will recognize the others. Here is a youtube version from the Omagh Community Youth Choir. It is gorgeous. Beautiful. How cool is that.